The laser alignment of pump shaft couplings and motor drive shafts has become the industry standard to ensure their efficient vibration free running. Reducing the wear and tear and the risk of breakdown. It is common knowledge that misalignment of pumps and drives results in vibrations and increased stresses leading to premature wear of bearings, seals and couplings. Statistical records of plant failures show that over 50% are the result of misalignment problems. If you want to keep your offset drives and cardan shafts in good order they too will require alignment to prevent the excessive vibrations that inevitably lead to shaft and coupling failures and breakdowns. 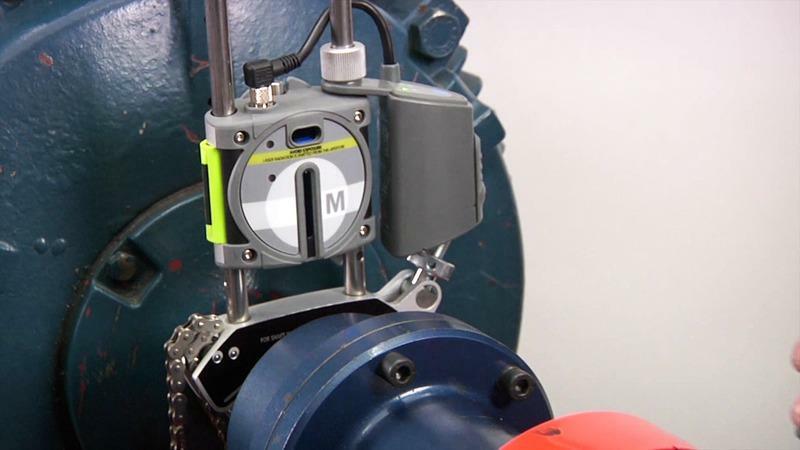 Laser pump shaft alignment systems are now used as standard in today’s industry for the precision alignment of pumps and drives because of their speed, ease of use and accuracy. For example the Fixturlaser NXA Pro system is a shaft alignment tool specifically designed for conducting alignment swiftly and precisely out in the field. In addition to the alignment of horizontal and vertically mounted pumps and drives, the standard NXA Pro system can be expanded to conduct alignment of offset drives and cardan shafts. Backlit Colour LCD screen for easy viewing, even in direct sunlight. Touchscreen interface for simple navigation. Omniview: - a gyro assisted user interface that instantly shows a view of the coupling from the user's perspective so minimising the risk of adjusting the wrong mounting. On-screen animations and icons which guide users through completing the alignment process. Pre-mounted fixtures - lasers can be attached straight to the shaft without complicated assembly. Digital CCD laser technology, 30mm laser detectors and line-laser technology - virtually eliminates the need to conduct lengthy rough alignment checks. USB ports for transferring measurement data to PCS - no need for additional software or printers. Express Mode which registers 3 measurement points automatically when the shafts are turned. Unlike the majority of complex shaft alignment systems on the market, the Fixturlaser NXA Pro requires minimum training, making it perfect for Technicians who perform alignment on a periodic basis. From opening the case lid, most users can complete alignment measurements in under 5 minutes. Target Values - to enable compensation for pre-determined alignment targets provided by pump or drive manufacturers. Cardan shafts are an excellent means of power transmission, when it is impossible to position two machines in line. There is the general misunderstanding, however, that offset mounted cardan driven machines do not require alignment. However, a misaligned cardan rotates with an uneven angular speed over a full turn. This generates vibrations with harmful forces throughout the drive chain. The risks with misaligned cardan shafts are similar to other misaligned machines plus the risks for damages caused by a broken cardan shaft. Conventional alignment methods, such as straight edges, spanner bars, tape measures, and machinist levels cannot provide the needed level of accuracy. Using the system as described above, you can precision align any offset mounted machine as fast as you can align any other shaft.